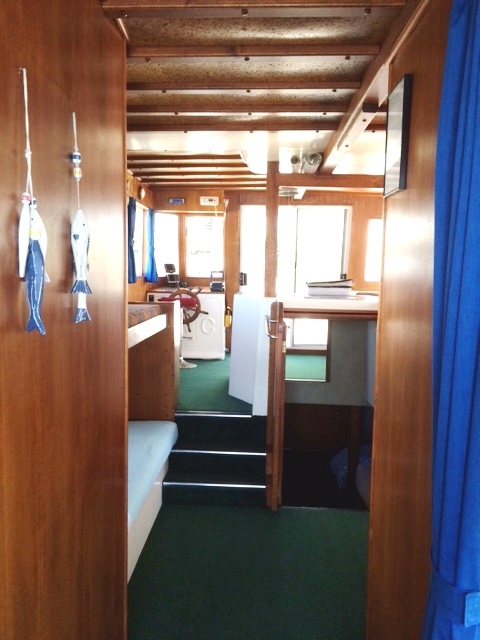 Gentleman Tom (2-8 people) / The Gentleman Tom at Tin Can Bay Houseboats sleeps 2-8 people. Perfect for your Fraser Island and Great Sandy Straits holiday. The Gentleman Tom is perfect for those that want to enjoy the best of both indoor and outdoor escapes. The Gentleman Tom will sleep two to eight people. 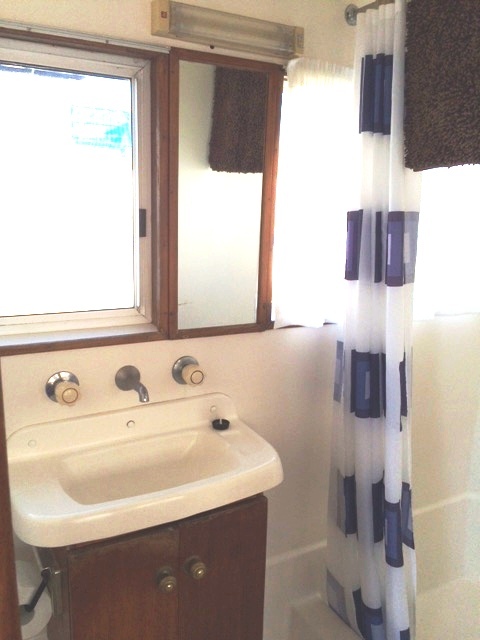 This large and spacious boat has plenty of room for families or a group of friends. Enjoy the roomy upper deck with all furniture provided for kicking back, relaxing and taking in the views. 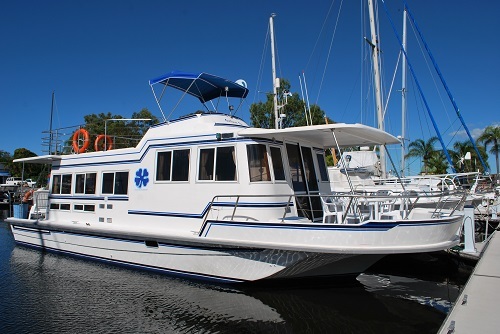 So book now to enjoy your amazing “Fraser Island Houseboats” holiday !!! 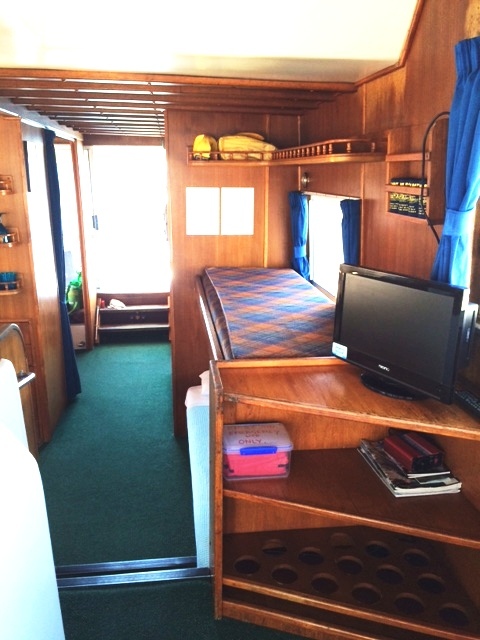 Features: 1 x Double Bed Cabin, 2 x Double beds Forecastle, 2 single bunks, toilet, ¾ size Fridge/Freezer, fully equipped kitchen with gas stove/oven ,TV, CD, DVD, Electric Winch, 2 x 60hp motors, 3500 litres of fresh water. 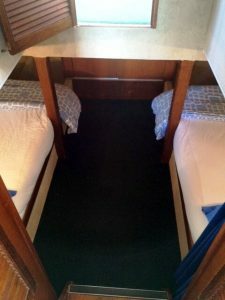 On a spacious upper deck, there is an outdoor setting, sun lounge, and Bimini sunshade protection, and outside speakers to top off your entertainment. 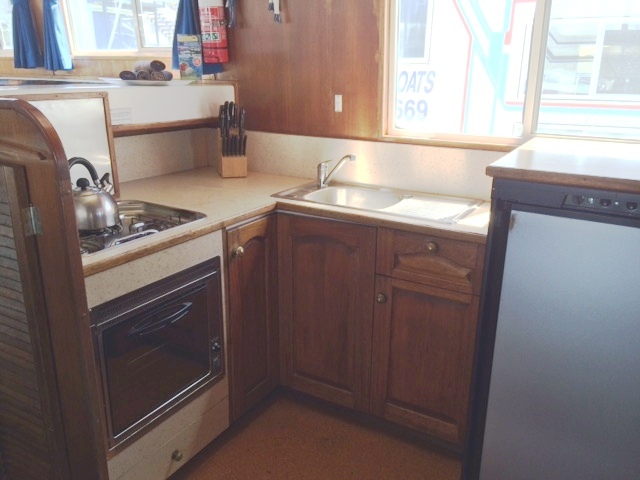 Plus, a BBQ on the rear deck to cook your catch straight out of the water.